Ripple (XRP) – According to a recent global coin report, Ripple (XRP) is the world’s third-biggest cryptocurrency. In January 2018, it enjoyed an impressive sail at $3 per unit. We all expected it to move a digit higher, but a damaging market fall that affected the entire cryptocurrency ecosystem nipped the currency in its bud. In the aftermath of the crisis, Ripple’s value went under $1 and stayed in the regions of $0.50 for many weeks, even after the crisis had receded. Many other currencies tumbled with the crash and are only just recently reviving. There have been ups and downs throughout, but Ripple has held on to remain one of the most preferred currencies. It is not a secret that the currency is causing ripples in the world cryptocurrency ecosystem again. Even after the tumble, it is still regarded as a centralized gross settlement scheme and keeps on amazing investors. Thanks to its steady increase in value, it has become a household name. If current developments are anything to go by, Ripple (XRP) will attain the $1 mark very soon. Many investors consider Ripple as the industry’s most scalable digital asset. Over the years, it has taken on interesting ventures. Whether it will hit the $1 mark is now a question of when rather than if. Let us investigate various developments that could push Ripple (XRP) to this milestone. In January 2018, Ripple’s CEO Brad Garlinghouse stated that the currency would enter into an agreement with a top money transfer institution. The boss did not explicitly mention the appointed money transfer company, leaving room for the public to speculate. Investors were convinced that it would either be Western Union or MoneyGram. Coinbase avoided listing Ripple (XRP) in its live trading portfolio, causing Ripple to drop its value significantly. Finally, the news that it would partner with MoneyGram hit the airwaves, and the dip subsided. Ripple lost a huge of its market share, but after confirming that it would partner with MoneyGram, experts expect that the value will increase over the next weeks. When Cobalt broke news about their new algorithm in March 27th, investors went wild with ululation. You see, the new algorithm means that transactions would be smoother and faster than ever before. With an anticipated increase in user experience, there came a mass adoption of the currency. Although the new algorithm is still in the process of being integrated into XRP system, investors are already expressing optimism. In addition, banking institutions are encouraging their customers to take advantage of the desirable features. This is a major boost to the currency and is a reason to believe that it will rise faster than expected. The latest change in the market caused Ripple to suffer a -1.63% loss against the dollar and is currently shifting from the green to the red. Even so, it has been steady against BTC, recording a positive 2.13%, suggesting that Bitcoin is slowing down. As Ripple can now be sold for $0.48 per unit, it remains a relatively attractive market for investors. In the recent past Ripple’s top management has made bold announcements that it seeks to partner with central banks around the world. In fact, they revealed that they already sent partnership proposals to more than 40 central banks in America, Europe and Asia. While the game plan is still not well-elaborated, it is an ambitious venture that investors are watching keenly. Experts regard Ripple (XRP) as a leader in the cryptocurrency ecosystem, even with significant tumbles over the weeks. However, its consistency and evident determination to make trading easier for its customers make it a desirable investment. The following are reasons why we should expect it to attract huge trading, increase value and hit $1 sooner than we all imagined. 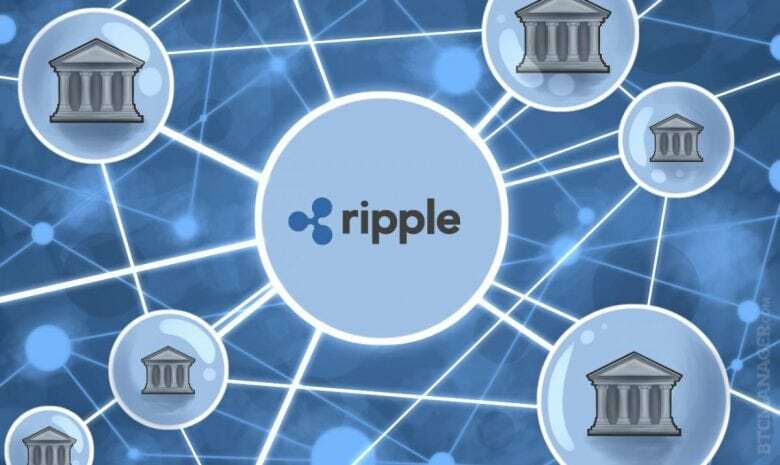 Ripple is set to Increase Speed of Transaction – cryptocurrency investors prefer the digital asset ecosystem to its traditional counterparts because of the ease and speed of use. Nobody understands this fact better than Ripple. You can transact in 5 to 8 seconds under their portfolio. Still, the currency feels that this speed could be increased. It now seeks to reduce the time so you can make a transaction in less than 3 seconds. Indeed, it can achieve its ultimate objective of a 1-second transaction, especially because it has partnered with Cobalt. A decentralized system is what crypto investors want, and they could achieve it, thanks to the famous digital asset security company. Ripple is Widening its Market – Just the other day, Ripple boldly announced that it was introduced in the Canadian market. With its entry into the northerner country, XRP will trade using both XRP/CAD and XRP/USD, thanks to the hosting of CoinField, a respectable exchange network in Canada. In the last week of March, Ripple announced yet again that it has established roots in the British markets. It was first paired with the country’s currency, GBT. It has been trading under LBX (London Block Exchange) in the recent past. This audacious and deliberate widening of its market cannot go unnoticed and should stabilize XRP’s value again. Ripple has Denied ICO Possibilities- The company, through a press release stated that Ripple was not interested in promoting Initial Coin Offering, maintaining its stature as a desirable investment for individuals. Ripple is Preserving its Performance- Currently, the value of Ripple (XRP) stands at $0.47, a marked 4.3 % decrease in value. A series of ups and downs have caused speculation, but investors have not shied away. Even with these uncertainties, Ripple has still maintained its 3rd position in world cryptocurrency rankings. The fact that Ripple is paying incentives to be enlisted in various markets plus its recent partnership with a Slovenian metal trading company are other pointers. The company has expressed interest in attending this year’s Global Money Transfer Summit. Finally, its partnership with Allvor ledger makes us all confident of better times ahead.